How would you like to dive all year round, whatever the weather or temperature ? Imagine the allure of clear water, non crowded dive sites and the freedom to dive when you like. The Big Squid PADI Dry Suit course will enable you to experience all this. The PADI Dry Suit course with Big Squid comprises an orientation session in a heated swimming pool or confined lake area and two open water dives which take place over one day. You should be at least 10 years old and possess a PADI Open Water Diver certification or Junior Open Water Diver certification. 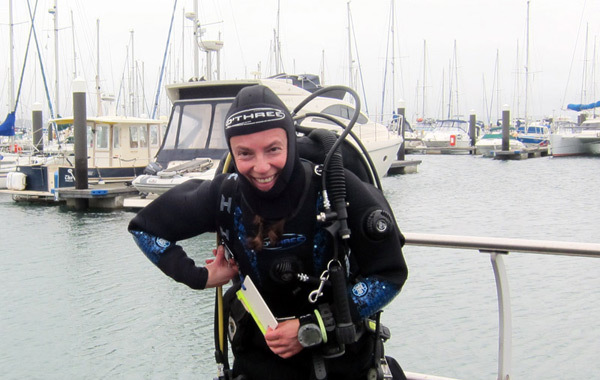 Included: dry suit, manual, air fills and all diving equipment. Not Included: £20.00 refundable DVD deposit, site entry fee, boat fees if taking the course on a UK trip. Duration: 1 evening and 1 day.